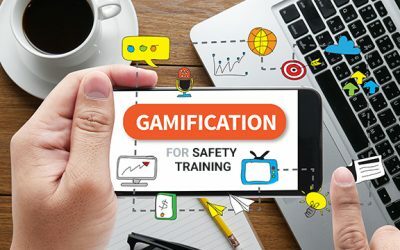 Knowzies > Blog > Gamification > Can Game-based Learning Be Useful for Sales Training? Can Game-based Learning Be Useful for Sales Training? Sales is all about numbers.What is sold?How well has the product fared? What are the indicators that flag issues in Customer Relation Management? In the end of the day, all the efforts are quantified, but reaching those figures, getting positive results is not that easy. While experience and talent does make a huge difference, there are still several qualities that are built entirely through training. And when we talk about training we must consider the target audience too. 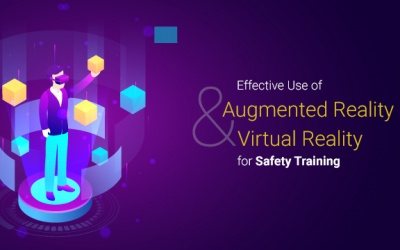 With workplaces being transformed into digital workplaces and digital natives actively joining the workforce, the way training is delivered has changed considerably, and Game-based Learning is now being adopted in higher frequency than ever before. Before dwelling deeper into this, it is pertinent to understand that Game-based Learning is different from Gamification. The former stands for use of games, designed to deliver learning as a part of advancing through levels, mini games interspersed between learning content etc. The latter on the other hand stands for the use of game mechanics (rewards, points etc., discussed in detail here) to motivate the learners. As complex as it sounds Game-based Learning has its own perks (read more here ). 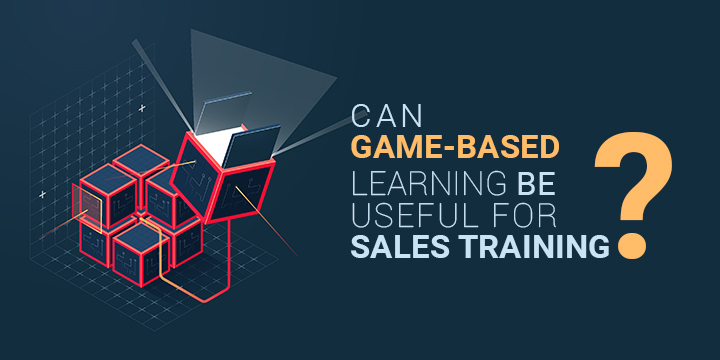 How then can Game-based Learning be useful for Sales Training? Sales and product training requires repetitions and revisions to drive the message home. Game-based Learning breaks learning content into small nuggets, skilfully integrated with gameplay. Small chunks of information or micro learning is absorbed well and retained for longer time period. Game-based Learning for sales training usually revolve around real-life scenarios, to assist the learners in understanding and analysing complex situations that they may encounter. The user moves ahead based on the decisions made through the course of the game. This sharpens the decision making skills and equips the sales personnel to work well even under stressful and time bound situations. Time management is of essence in the sales function. Between meetings, product trainings and travel, managing time well and sticking to the schedules becomes a must. Game-based learning usually is time-based or has a specific time limit for completion. While this approach ensures course completion, it also teaches the learners to work within a time frame and manage time. Game-based learning used in Sales training provides a risk-free environment where learners can learn the art of negotiation, decision making etc., and that too through trial and error without causing any real damages due to wrong decisions or approach. The best part is that the learners can try it out over and over, view the situation from various viewpoints and even get a realistic view of the consequences of wrong decision making or negotiations, hence prepping them for such situations in real-life. And all this becomes more interesting due to the game play. The perk of game-based learning is that everything is plain, right in front of the eyes and this includes assessments and feedbacks. In game-based learning the learners need to overcome certain challenges, and based on the answers or decision, an immediate feedback is shared allowing the learner to assess their own position, be motivated to fare better. Game-based learning acts as an active motivator both at individual and organizational level. While the learners can view their progress on the dashboards, they can also see their position at an organizational level, compare scores with the peers and most importantly identify the areas that require improvement. 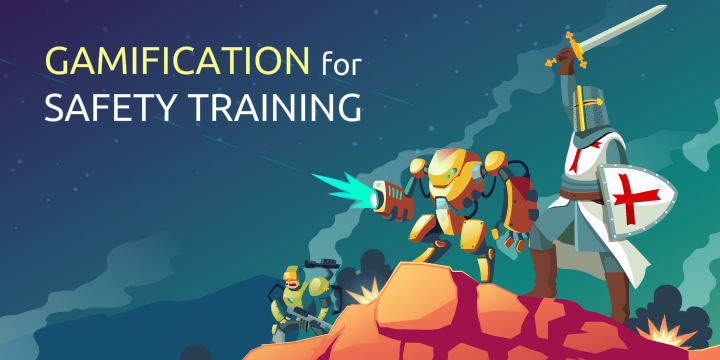 Game-based learning for sales training also helps in staying in par with the technological demands, allowing learners to learn-on-the-go, in a competitive and motivating environment and improve in decision making, risk taking, problem solving, memorization skills etc. What are your thoughts on Game-based learning? Do let us know. Ashutosh (Ash as he is known as) is a passionate problem solver and loves building relationships. After spending 13+ years in eLearning and custom tech solutioning sales he co-founded Knowzies Technology Solutions to live his dreams of entrepreneurship. He has extensive experience in eLearning and Mobile Technologies and has helped many companies including few fortune 500 companies finding the most suitable solution. Ashutosh started his sales career in 2002 and went on to head global sales team for a leading Learning Solutions provider handling US, EU, APAC, MEA, and India. Currently, as a COO Ash wears multiple hats and is helping clients in implementing right eLearning, Mobile Learning and Custom Tech strategies. Ash is an eminent speaker and has delivered many webinars, represented global L& D events and have delivered speeches in few of them as a speaker. He has handled multiple teams of talented professionals over the years and worked with 100+ international clients and partners. Ash is highly popular as a cool mentor amongst the team and he believes in doing things right at first go. He takes pride in what he does and is highly pondered by the clients for his timely responses and addressing any critical situation with a cool mind. In free time, he loves to read and spend time with family and his 2 sons Naitik and Vihaan keep him on toes over weekends. He is a sports buff and loves watching all kind of sport especially Cricket and Football. He is fond of reading about various historical novels and loves traveling and meeting new people.